So you’ve decided to buy a condo. Well, if you have pets, you’re not the only one whose needs will need to be considered when purchasing a condo. You’ll want to be sure your future home will allow Fido and Garfield to settle in as well. Unlike a single family house or townhouse, most condominiums in Seattle have policies covering pet ownership. Usually, it will mandate the number of pets allowed, their size by weight, breed and types of animals. To help you in your condo search we’ve compiled a list of pet friendly condos in Seattle. So far, we’ve included a number of condos in downtown Seattle and surrounding neighborhoods. If you’d like to learn more about pets and condo ownership or are in the market, please contact us for additional information and/or to get started. * List intended for informational purposes only and is not meant to be an exhaustive list of pet friendly condos. Buyers should verify condo association pet policies to their own satisfaction. Seattle Persian and Himalayan Rescue focuses on those breeds as well as others. Persian cats need a little extra care and attention and so they don’t fare well in a shelter environment. SPHR has its cats in foster homes and they do short stints at the U-District PetCo. I was excited about finding them because I only get rescue cats (not from breeders) and now I have a lovely himmie at my house, and became a volunteer! Marymoor Park on the Eastside is also a great place for off-leash fun. Your list is a great resource. Being a 3 dog family (it’s a long story how we got here…), we are very sensitive to pet owners’ needs in condos. We suggest to our clients that, if they are moving from a more house-like situation, to expect some time for their pets to adapt. Small breeds may work well in small places, but they can be a bit more ‘tightly wound’ than larger dogs. 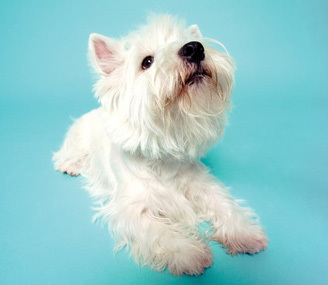 Owners living in close proximity to their neighbors really should work to get any barking habits under control quickly.